An exciting new installation in Beaconsfield, which shows off our new Flying Fox and in-ground trampoline. 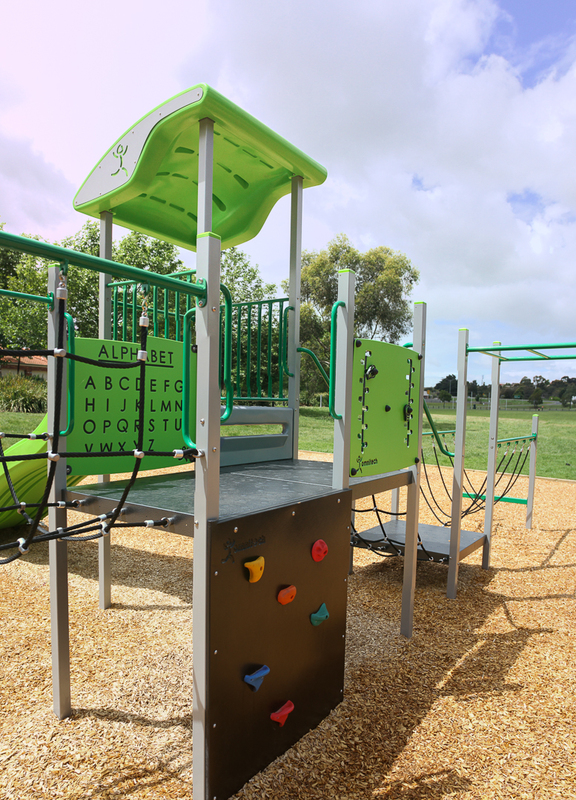 Along side these new components at O'Neil Rd Recreation Reserve, is a challenging Extreme unit featuring multiple play panels, rockwall and rope climbing challenges and multiple slides. 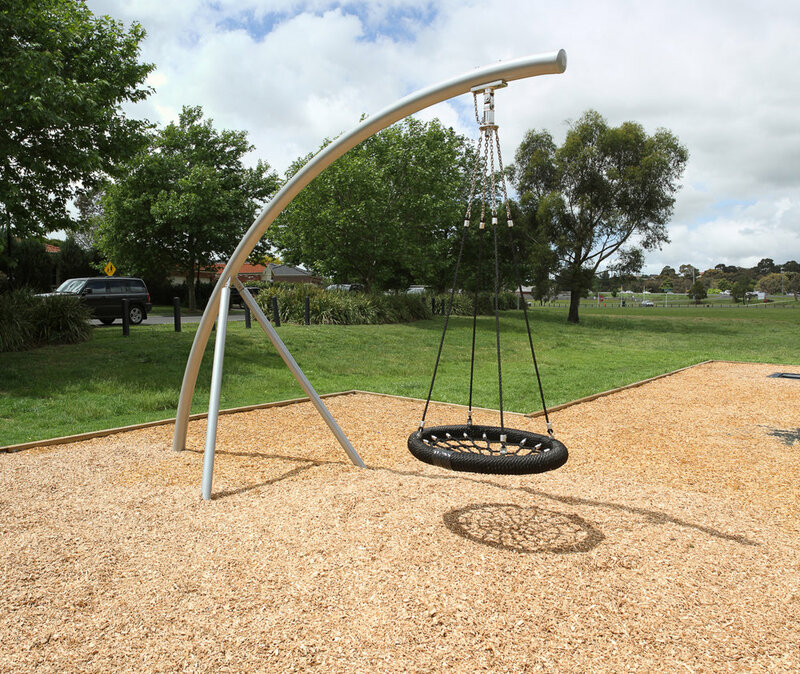 The inclusion of our much loved Cantilever swing and Orbit spinner allow for multiple kids to play together on the same piece of equipment. Inclusive play elements of this playground include the large rope basket seat on the Cantilever swing, as well as the all access seat found on the multi-bay Omni Swing.